이 연구는 독일의 난민 수용과정에서 나타난 정책 변화에 관한 것으로, 대부분의 유럽연합 회원국들이 경제적인 부담과 난민 안보화라는 것으로 난민 수용 책임을 원하고 있지 않은 상황에서 독일이 어떻게 이런 수용 결정을 하고, 어떠한 부담을 떠안고 어떻게 난민 관리를 하고 있는지를 문제의식으로 삼아 시작하였다. 이를 위해 규범적 의무, 이익, 그리고 가치라는 세 가지 틀을 가지고 유럽연합 수준, 독일 정부 수준, 시민사회 수준에서 인도주의적 측면, 제도적 측면, 시민의 난민 인식 측면에서 독일의 난민 수용과정을 고찰하였다. 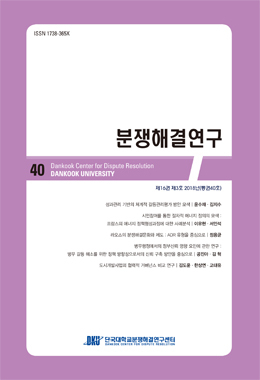 독일의 난민 정책은 그동안의 난민 포용 정책을 수정하면서 난민 통합정책으로 변화를 추구하고 있다. 그것은 독일의 망명정책이 한편으로 난민들의 개별적 권리보호와 인도적 지원을 위한 연대성을 구현하고 있지만, 다른 한편으로 불법이주를 막고 유럽으로 오려는 난민들을 법적으로 억제하며 난민 신청이 받아들여지지 않으면 이들을 가능한 빨리 돌려보낼 수 있는 난민절차를 마련하고 있기 때문이다. 그리고 독일의 난민 수용은 규범적 의무에서 독일인의 법적 권리, 도덕적 윤리적인 차원의 인권 의식과 독일 과거사에 대한 참회의 마음 및 독일과 유럽연합의 통합을 위한 연대와 협력의 가치적인 면과 저출산·고령화에 대한 대안으로 독일 경제의 성장과 낮은 실업률 등 이익이라는 면에서 이루어지고 있다. 따라서 독일의 난민수용은 역사적이면서 민주주의, 인권, 법치의 정치적인 의미와 문화적 포용성, 그리고 경제적인 이익의 핵심가치를 통합하는 난민 정치경제학의 요체가 되고 있다. 이제 유럽에 새로운 시작이 필요하며, 그게 곧 독일의 새로운 시작이라는 점에서 독일 정치인들에게 난민 수용 정책은 다시 갈등과 중요한 쟁점이 되고 있다. 그것은 개별국가 독일만의 난민 정책이 아닌 유럽연합 차원의 공동 난민정책으로의 변화의 시작을 의미하는 것이기 때문이다. This study focuses on Germany’s policy changes of accepting refugees. Most European Union countries do not want to accept refugees because of the economic burden. Then why Germany is taking in so many refugees. To this end, I examined the process of German refugee acceptance with three major frameworks: normative duties, interests, and values. I also considered humanitarian, institutional, and citizen refugee perceptions at the European Union level, German government level, and civil society level. The German seeks to transform itself into a refugee integration policy by revising the policy of embracing refugees. Germany's asylum policy, on the one hand, is protecting the individual rights of refugees and provides solidarity for humanitarian assistance, but on the other hand, it legally restrains refugees seeking to prevent illegal migration to Europe. It also has a refugee process that allows them to return as soon as they can not be accepted. The acceptance of refugees is based on the legal rights of Germans, the human rights consciousness of moral and ethical dimensions, the heart of repentance on the history in Germany and the value of solidarity and cooperation for the integration of Germany and the European Union. In addition, it seems to be an alternative to low fertility and aging in terms of benefits such as growth in the German economy. In this respect, the acceptance of refugees in Germany is an important subject of the refugee political economy in the sense of historical, political, economic, cultural, and integrative value. Now Europe needs a new beginning, which is the new beginning of Germany. Therefore, the policy of accepting refugees to German politicians is likely to be a major issue again.